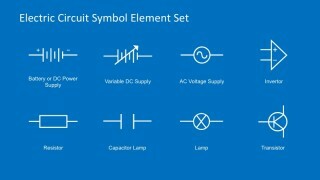 Electric Circuit Symbols Element Set for PowerPoint – Present a simple yet legible schematic diagram in high resolution PowerPoint template. 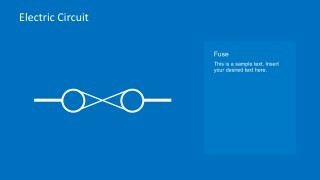 This template is a set of electric symbols for powerpoint used for schematic diagrams. 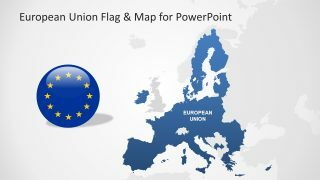 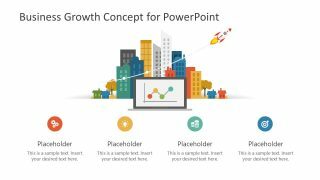 The symbols in this design are made of simple yet highly defined PowerPoint icons. 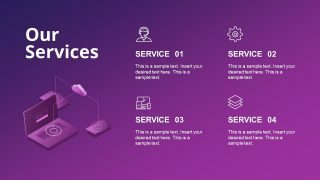 These icons are all editable to suit various concepts as well as to accommodate the user’s presentation scale while maintaining the legibility of the each illustration. 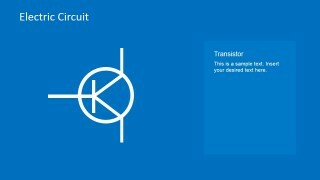 These symbols usually resemble the physical traits of the device it represents. 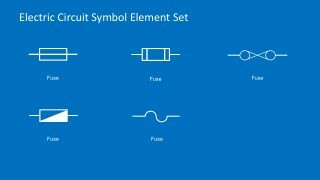 They are very useful in circuit board exercises where the participants can familiar themselves with the symbols and their uses. 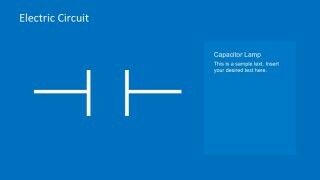 It’s also a great tool for practicing logical interactions of electrical components in different circuit board models. This template also comes in handy with creating a prototype circuit board. 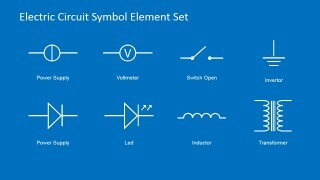 An electrical schematic diagram is a simple illustration of electrical devices and their relationship in a model. 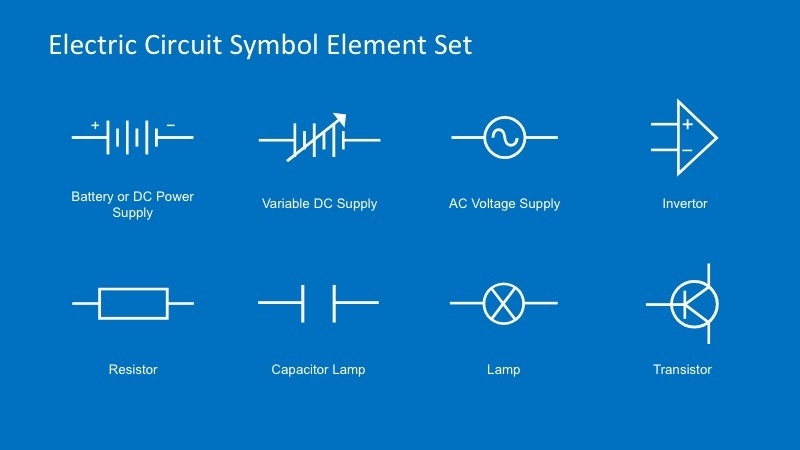 Instead of actual illustration of the devices or physical components of a circuit board, a schematic uses graphic symbols that represent electrical devices and their interaction with each other. 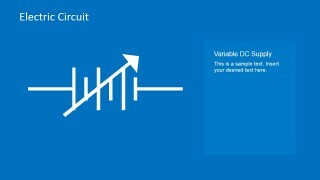 A schematic illustration guides the user in designing and developing a circuit board. 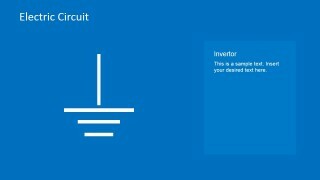 Its simplicity allows for a compact graphical representation where the designer can easily oversee the devices in the whole circuit board. 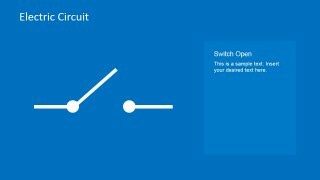 It also makes logical manipulation of the devices easier. 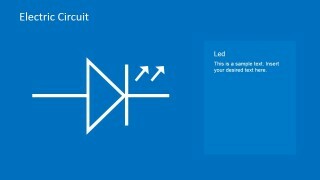 The electrical design of equipment is often described using a schematic diagram. 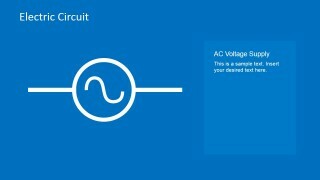 Today, Electrical CAD software is commonly used to design schematics. 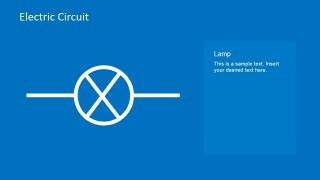 However, it used to be done by hand with printed adhesive symbols and a standardized template. 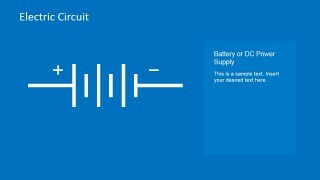 Schematics diagrams are also used in practical applications. 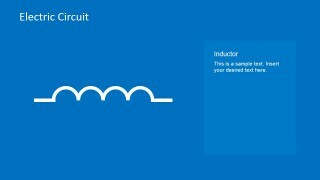 It is commonly seen in repair manuals to assist users understand simple connections in the device. 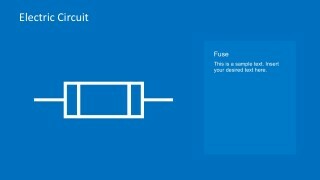 This helps the user in understanding the basic relations and interactions of the components in the device. 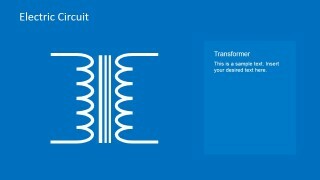 It also provides an illustrated instruction in dismantling and rebuilding its mechanical components. 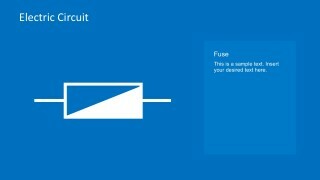 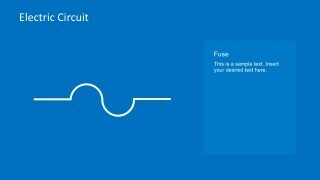 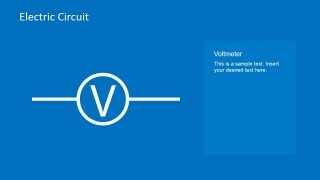 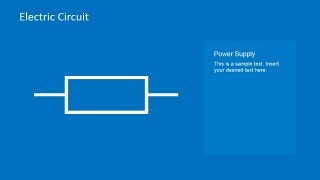 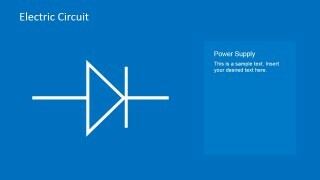 Create Basic Circuit Symbols PowerPoint presentations with professional quality. 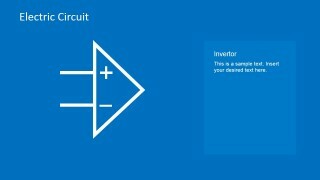 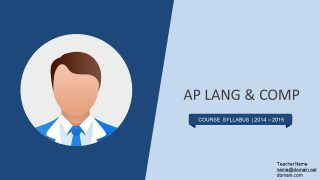 Make the task of Developing a Schematic diagram ppt a straightforward process using drag and drop powerpoint electrical circuit symbols.